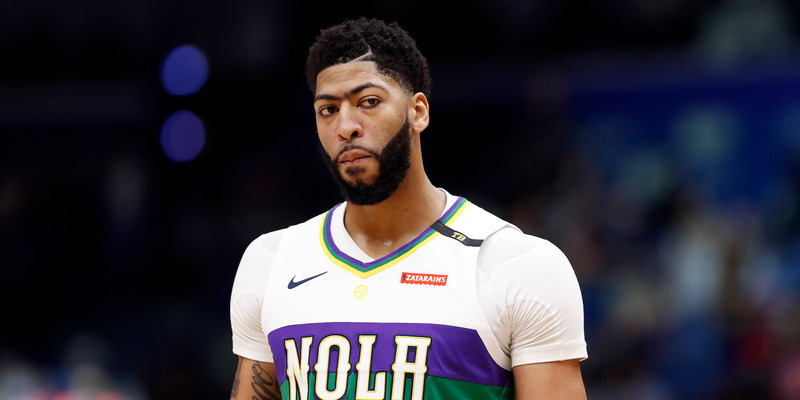 Both the New Orleans Pelicans and Los Angeles Lakers have had ugly losses following the Anthony Davis trade saga. The Pelicans are playing Davis — despite being incentivized not to — and it’s created an awkward tension, as he has been less effective while the team has lost two of three games. The Lakers have lost three of their last four games in ugly ways, and it appears the team has been shaken by being involved in trade rumors. The Pelicans are in an awkward spot now. They’ve decided to play Davis in the remaining portion of the schedule, with ESPN’s Brian Windhorst reporting that the NBA threatened to fine the Pelicans $100,000 for every game a healthy Davis missed. The NBA pushed back on that report, but the Pelicans announced they would play Davis to stay in line with the NBA’s rules about the integrity of the game. It’s created an uncomfortable situation. Neither Davis nor the Pelicans want Davis to get injured over fears of how it would affect his trade value. The Pelicans are incentivized to sit Davis to improve their standing in the NBA’s draft lottery. And there’s the simple fact that Davis made it known he no longer wants to be on the team. Of course, on Tuesday, Davis‘ presence didn’t help the Pelicans. Davis scored just 3 points on 1-of-9 shooting, as the Pelicans got walloped, 118-88, by the Orlando Magic. The Pelicans have said they would reduce Davis‘ minutes over the remainder of the season. But Davis‘ numbers in his three games since returning to the team might raise some eyebrows — 16 points per game on 10 shots per game, 50% shooting, and 10 rebounds per game. Most players would love to post those numbers, but when Davis, a player who averages 25 and 12 in his sleep, is posting relatively pedestrian numbers, it’s worth asking how beneficial the arrangement is to everyone. Before the deadline, much was made about the Indiana Pacers beating the Lakers by 42 points, the worst loss of LeBron James‘ career. Many suspected the distraction of the trade talks and the rumors that included nearly every young Lakers player were harming the team. But since then, the team has dropped two straight — a 23-point loss to the Philadelphia 76ers, and a four-point loss to the lowly Atlanta Hawks. James posted a 28-point triple-double in the second game, but despite playing 43 minutes, the Lakers couldn’t pull out a win. 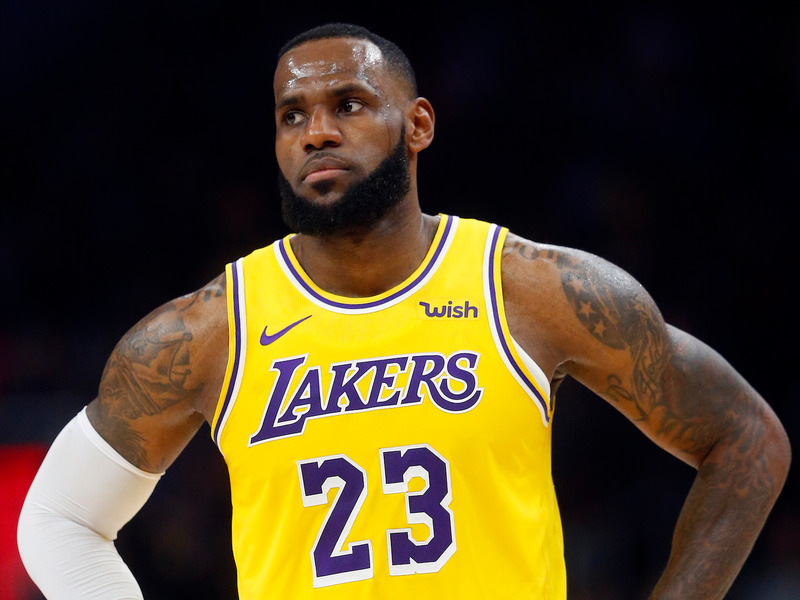 The Lakers are not out of the race, and a motivated James in the second half of the season could be the driving force that they need to make a playoff push. But it won’t be easy. Fourteen of the Lakers‘ remaining 25 games come against playoff teams, including some of the best in the league — two against the Milwaukee Bucks, one against the Toronto Raptors, one against the Boston Celtics, one against the Golden State Warriors, one against the Denver Nuggets, one against the Oklahoma City Thunder. The 8th-seed Sacramento Kings are on pace for 44 wins. If it takes 45 wins to make the playoffs, the Lakers will have to go 17-8 the rest of the year. Furthermore, how the team rebounds from the distractions will be worth monitoring. Even after the deadline passed, talk of the trade sweepstakes has continued, namely from team president Magic Johnson. Since failing to land Davis, Johnson has said the Lakers‘ young players are all professionals, and the team doesn’t need to coddle them over trade talks. He also noted that the Pelicans didn’t negotiate in good faith and brought up an incident in which Ben Simmons asked to work out with him, thus sparking another NBA investigation into tampering (the league found no wrongdoing). Aside from the Boston Celtics, who can now bid on Davis in the offseason, nobody won the Davis sweepstakes. Now, both teams are headed in different directions, with potentially equally unsavory endings. The Pelicans still must find a trade for Davis, one that will check off as many of their boxes as possible — draft picks, young players, All-NBA talent. The Lakers, meanwhile, must battle uphill to make the playoffs in the stacked Western Conference. James hasn’t missed the playoffs since his rookie year in 2003-04. To acquire the best player in the league in the offseason, then fall short of the postseason, would likely mean change is coming.